If meat consumption is really that bad for us, why aren’t people doing anything about it? This is the question posed by Professor John Potter, the internationally recognised public health researcher and former Chief Science Advisor to the Ministry of Health, in his recent editorial published in the BMJ (British Medical Journal). 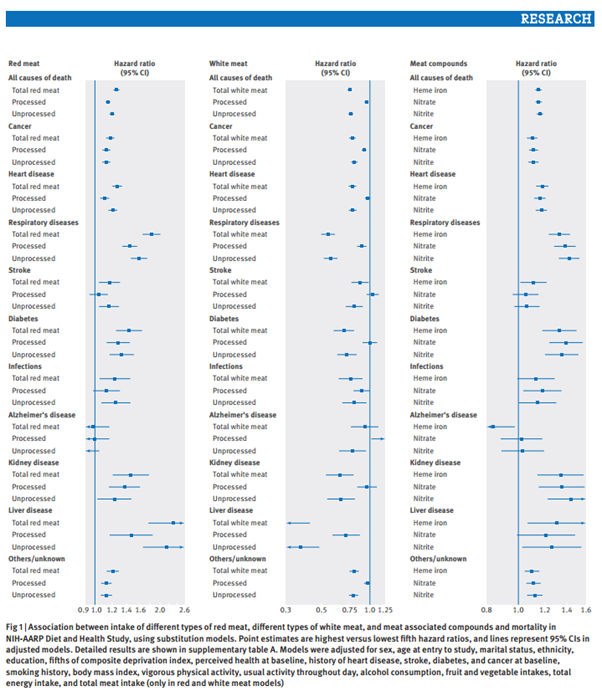 If initial results from the largest nutrition study ever conducted (the on-going, two-decade-long, NIH-AARP Diet and Health Study that follows more than half a million people), haven’t already convinced you that meat consumption really is that bad for human health, then perhaps its latest results, published just this month, will persuade you. Conclusions drawn regarding the role of meat consumption and disease-specific mortality from the NIH-AARP Diet and Health Study (now at 7.5 million person-years of observation!) have now been expanded to include almost all major causes of chronic disease: consuming red and processed meat increases your risk of dying from cardiovascular disease, diabetes, cancer, liver disease, kidney disease, and lung disease! . According to Prof. Potter, there is a collective understanding among the research community with regard to this issue. 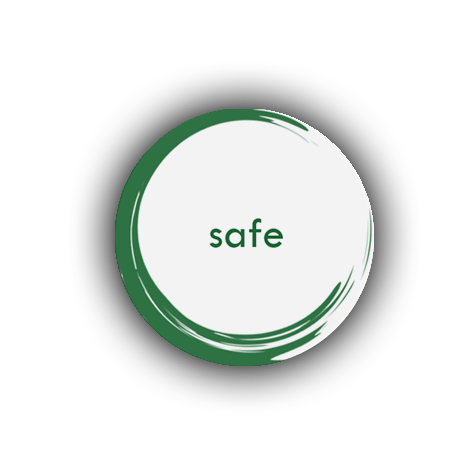 The evidence base already exists, he asserts, in order to inform widespread policy change, which could greatly reduce unnecessary harm to both our population and environment. Etemadi, A., Sinha, R., Ward, M. H., Graubard, B. I., Inoue-Choi, M., Dawsey, S. M., & Abnet, C. C. (2017). 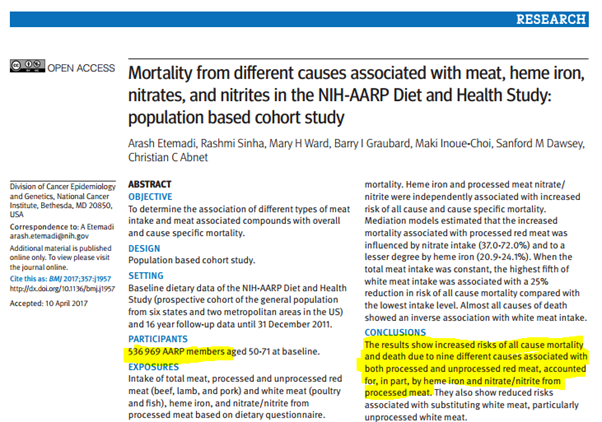 Mortality from different causes associated with meat, heme iron, nitrates, and nitrites in the NIH-AARP Diet and Health Study: population based cohort study. bmj, 357, j1957. Pan, A., Sun, Q., Bernstein, A. M., Schulze, M. B., Manson, J. E., Stampfer, M. J.Hu, F. B. (2012). 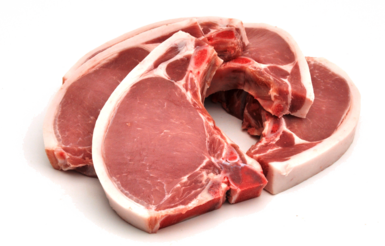 Red meat consumption and mortality: results from 2 prospective cohort studies. Archives of internal medicine, 172(7), 555-563. Singh, P. N., Sabaté, J., & Fraser, G. E. (2003). Does low meat consumption increase life expectancy in humans? The American journal of clinical nutrition, 78(3), 526S-532S. Fraser, G. E., & Shavlik, D. J. (2001). Ten years of life: is it a matter of choice? Archives of internal medicine, 161(13), 1645-1652. Potter, J. D. (2017). 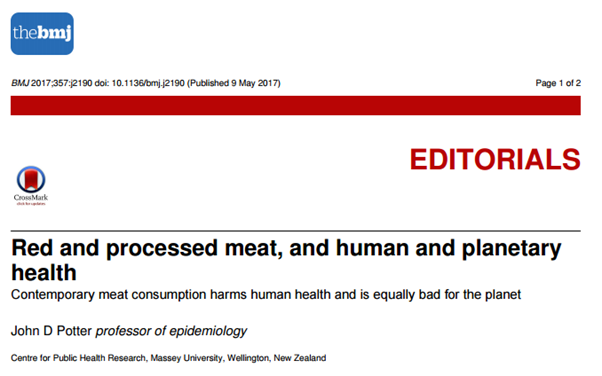 Red and processed meat, and human and planetary health. 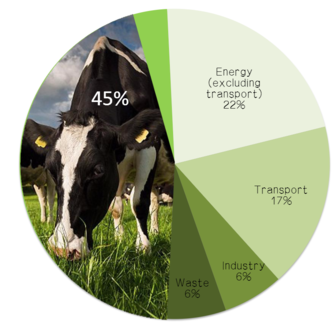 Animal agriculture contributes more to climate change than do all forms of world transportation, and is responsible for 37% and 65% of anthropogenic methane, and nitrous oxide emissions, respectively. 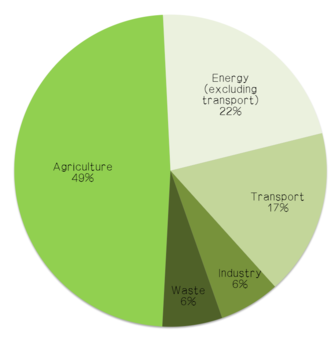 In addition, 64% of anthropogenic ammonia emissions, which are known to cause acid rain and contribute to ecosystem acidification, are attributed to the agricultural sector. Livestock also contribute significantly to groundwater pollution, water insecurity, and deforestation.